Joyce launched McMahon Communications in March 2004. She brings more than twenty years experience as both in-house communications counsel and managing accounts at a national integrated marketing communications agency. Using her specialties in traditional and social media relations, grassroots outreach, video and collateral production, and writing for a variety of communications mediums, Joyce has garnered attention for her clients across a wide array of print, online and broadcast media outlets. Joyce has 15 years of energy industry experience, which began at the Massachusetts Division of Energy Resources where she spent nearly five years as the agency’s Officer/Director of Public Information. She ran communication’s campaigns about changes in the electric and natural gas utility industries, renewable energy sources, alternative fuel vehicles (EV, CNG), and energy efficiency measures. In addition, Joyce has provided written and verbal testimony before the US Nuclear Regulatory Commission, the US Mineral Management Services, and the MA Energy Facilities Siting Board. She is sought out by local, regional and national news outlets for facts and opinions on energy policies, trends and projects. 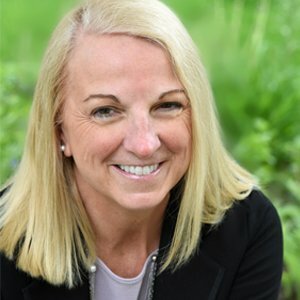 Since starting her own firm, Joyce has launched new companies and medical technologies including the Head Impact Telemetry System (concussion management) for Riddell Sports, Simbex’s Active Step fall prevention system, and Next Dance Retirement Services. Prior to forming McMahon Communications, Joyce was at Mullen where she managed accounts for some of the World’s most recognizable brands including General Motors, the United States Department of Defense, and ENERGY STAR. She also launched new life safety and medical device technologies in the US and Canada, and promoted a number of attorneys and practice groups at a Boston-based law firm. Joyce served four terms as member of the Beverly (Massachusetts) City Council. She holds a Bachelor of Science degree in Communications from Emerson College, Boston. Jim Sinclair is a veteran public affairs professional with deep roots in the natural gas and New England energy markets. He brings extensive leadership experience in government relations, strategic communications, and grassroots outreach. Over the past year Jim has served as executive sponsor of Vermont Gas’s Addison Rutland Natural Gas Project, a 43-mile transmission expansion project, the largest capital project in the company’s history. Jim has successfully led the recovery of what was a troubled project that was over budget and significantly behind schedule. 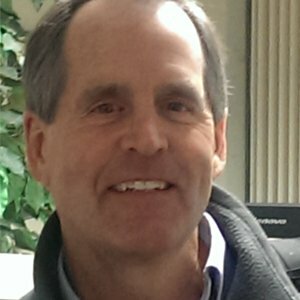 Prior to taking over the pipeline project Jim served as Vice President of Customer Service, Sales and Marketing for which he was responsible for customer service for Vermont Gas’s 45.000 customers, expanding the company’s product offerings, and overseeing the demand side management program. Previously, Jim worked in various leadership roles with several major gas, nuclear and system operations entities. As Director of Public Affairs for Entergy/Vermont Yankee Nuclear Power Corporation for more than 10 years, he led all government and community affairs activities including developing a grassroots effort to build local support for plant operations, and successfully lobbying on both state and federal levels. He was also responsible for managing the company’s comprehensive emergency response plan encompassing four states and several surrounding communities. At ISO New England, Jim was responsible for government regulatory affairs at the state, regional, and federal levels, and also served as primary spokesperson for the organization and was the main point of contact for special interest groups. He was responsible for the formation and administration of the initial ISO Board Advisory Committee and was the architect and primary spokesperson for the Y2K public affairs initiative for New England and the Northeast Power Coordinating Council (NPCC). Jim was also instrumental in developing a strong working relationship with the Northeast Gas Association, including the establishment of the electric/gas operations committee. On the public relations side, Jim served as Communications Manager for Entergy’s northeast U.S. nuclear and natural gas electric generating stations, where he developed and implemented strategic internal and external communication plans. For Kinder Morgan, Jim worked as a Division Director, building local grassroots support for the expansion of the Elba Island liquefied natural gas terminal and bringing the Pascagoula Mississippi terminal into commercial service. And, as Operations Director for El Paso, he was responsible for overall management of the Tennessee Gas Pipeline interstate natural gas system and building state and local support for numerous system expansion projects. Jim holds a Bachelor’s degree in Political Science from the University of Massachusetts, Amherst, and a Master’s degree in Public Administration from Boston University. Martha has over twenty years experience in bringing new, innovative and complex products and technologies to market in simple and powerful ways. She has diverse experience in corporate communications, public relations and social media marketing. Over the course of her career, Martha has introduced and promoted many industry firsts including: a hand-held water purification device designed by Mountain Safety Research and deployed by U.S. troops worldwide; the first full-size hybrid pickup truck, the Chevy Silverado; LEED certifications for retail and banking; and the award-winning Natural Power Initiative to support wind power, a unique retail program created by prAna. Martha began her career at Energy Resources Company, Inc. (ERCO) working on emerging and renewable energy technology accounts, including the U.S. Environmental Protection Agency (EPA), U.S. Department of Energy (DOE) and Pacific Gas & Electric. She then jumped to the publishing side and worked in the editorial department of SAIL Magazine. Her next experience was managing PR for Thinking Machines Corporation, a high performance computing manufacturer. She spent four years at Rasky/Baerlein, a leading public affairs/public relations firm in Boston where she obtained extensive experience in crisis management. Most recently she was at Mullen, a top 25 advertising agency where she managed integrated accounts in a wide range of industries from energy, consumer, government to financial services. 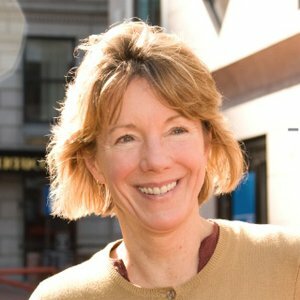 She has been active in local land conservation and is a former member and co-chair of the Manchester, MA Conservation Commission (1991-1997). She is a graduate of Bucknell University. McMahon Communications has offices in Greater Boston, Western MA, and Virginia.